1, sludge is the inevitable product of sewage treatment. First of all we should understand the source of sludge, nature, composition and solid content. According to the sludge contains the main components of different sludge can be divided into organic sludge and inorganic sludge. In general, cationic polyacrylamide for the treatment of organic sludge, anionic polyacrylamide for the treatment of inorganic sludge, alkaline is very easy to use cationic polyacrylamide, and acidity should not use anionic polyacrylamide, when the solid content of mud is high, the amount of polyacrylamide is usually large. 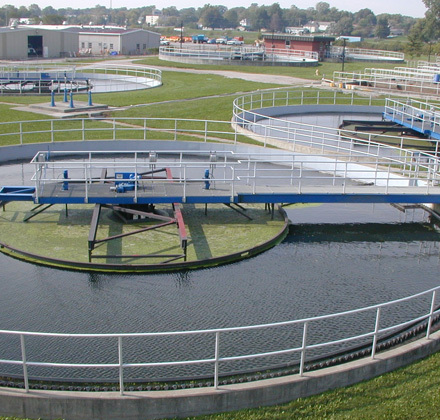 The use of sewage flocculants will use of cationic polyacrylamide as a sludge dewatering agent. 2, polyacrylamide ion degree choice: for the dewatering sludge, can be different degrees of flocculants through a small experiment to select the best suitable polyacrylamide, so that you can get the best flocculants effect, But also to minimize the amount of drugs, cost savings. (1) the size of the floc (2) floc strength (moisture content). The size of the floc: floc too small will affect the speed of drainage, floc too will make the flocs to bind more water and reduce the mud cake dryness. The size of the floc can be adjusted by selecting the molecular weight of the polyacrylamide. The strength of the floc: the flocs should remain stable without breaking under shear. Increasing the molecular weight of polyacrylamide or selecting the appropriate molecular structure can improve the floc stability. 3, polyacrylamide and sludge mixture: polyacrylamide in the dehydration equipment at a certain location and sludge must be fully reacted, the occurrence of flocculation. To this end, the viscosity of the polyacrylamide solution must be appropriate, in the existing equipment conditions can be fully mixed with the sludge, the two mixed even if it is a key factor in success. The viscosity of polyacrylamide solution is related to its molecular weight and formulation concentration. 4, polyacrylamide dissolved: dissolved in order to play a full play flocculation. Sometimes need to speed up the dissolution rate, then consider increasing the concentration of polyacrylamide solution. For more details on Sinofloc products please feel free to contact marketing@sinofloc.com.